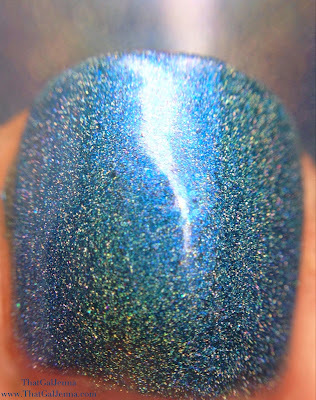 So last night I was sitting in front of my row of helmers (aka what I store my polish in) trying to decide on what I want to paint my nails with. 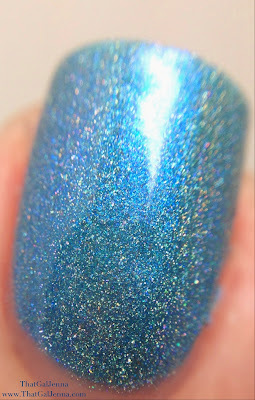 It goes without saying I own a lot of polish so sometimes choosing the right one for a mani is a pain. Whatever I chose would also need to be photographed for this little ol' blog of mine so I had to keep that in mind too. I decided on a brand that's new to the blog! Yaaaay! 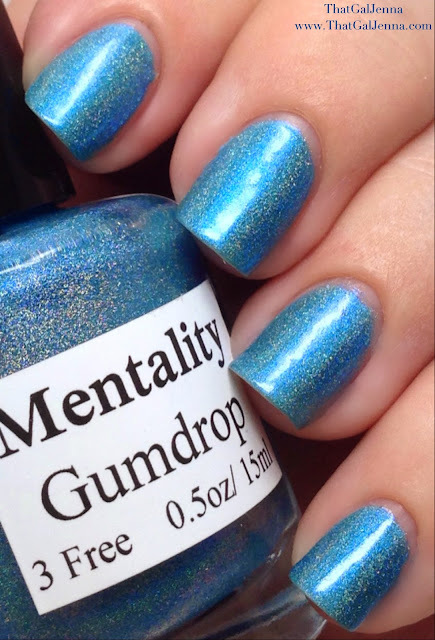 Mentality Nail Polish is pretty amazing. I own a lot of polish from the brand for two main reasons...they're all gorgeous and they are SO fairly priced! 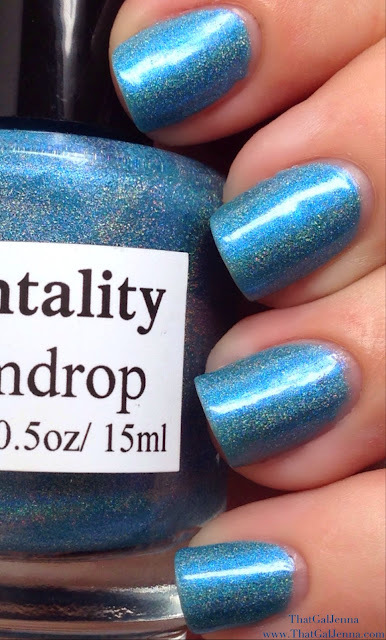 I more or less randomly chose this polish out of my Mentality stash but boy oh boy did it surprise me. Seriously....scroll on down to see the awesomeness. Three thin coats. 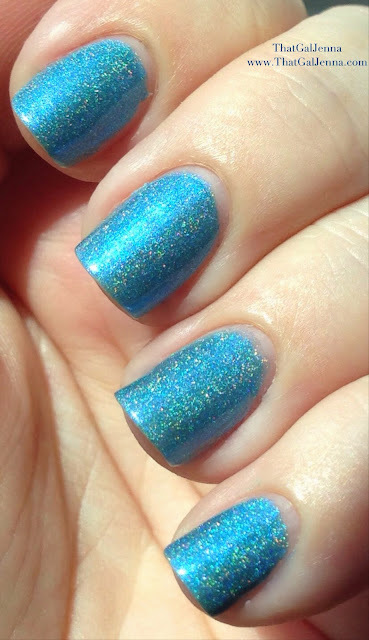 Jelly polishes have a tendency to needs more coats for full opacity but the formula was perfectly thinned so the three coats didn't make it feel like I had too many layers. Perfect jelly! 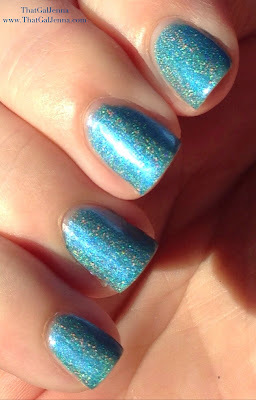 I know it looks like I've edited the photos in some way to make the color shine and the holo pop the way it does but considering I don't edit the polish in any way for photos...what you see is what you get! And OMG...you get a whole load of amazing. The blue is such a unique shade of blue. It's this perfect in between because it's not dark and it's not a light blue or neon. It's not too bold or too weak in color. Love love love! 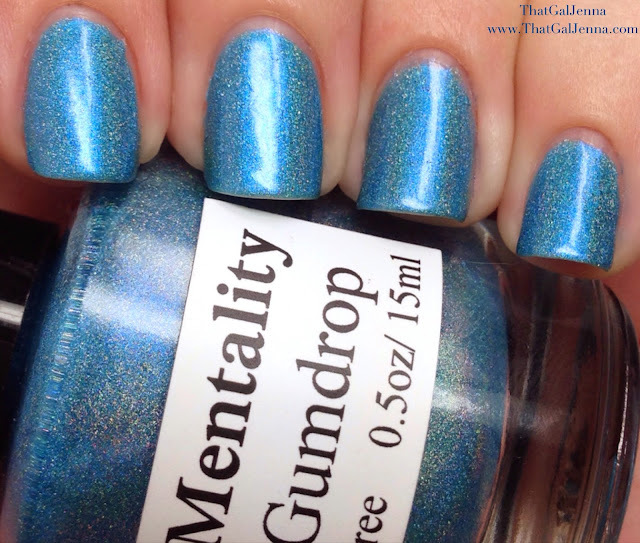 Oh and Mentality has free shipping...ALL THE TIME...whether you buy one or 100. So if you're new to the brand or you aren't and you haven't snagged this one yet. For $7.25 it's a must have!